The weather's cooling down and the nights are getting longer, it's safe to say the summer is beginning to come to a close. Time to store away the beach blanket and pack up that outdoor patio furniture. We're here to make the process a bit simpler for you. Just follow our steps to packing up the summer decor and you'll be ready to start fresh in no time. It's time to bring in the outdoor furniture before it gets ruined by the cold, wet weather ahead. Go through your outdoor space and take in the plants, cushions, candles and any other items of decor. Make sure you store them away in a safe, secure, dry place you will be able to find easily next summer! After you get the outdoor areas squared away, move on to the indoors. 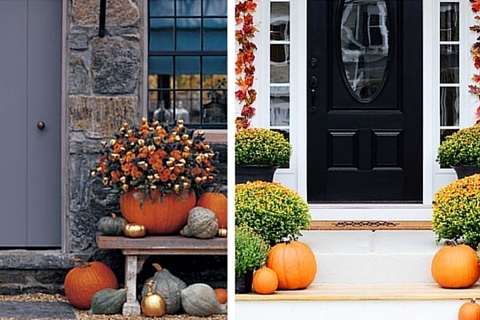 Take down the summer decor and switch over to fall colors and decorations. It's time to start shopping around for throw blankets and ways to keep your house warmer through the winter. Clean out the fireplace and stock up on wood - it will be needed in the coming months. While you reorganize and clean out your summer decor, make sure you're storing it all away into separate storage bins with tight lids and corresponding labels. This will make setting up for next summer much easier and stress-free. It may take longer to do now, but it will be worth it in the end.